Words are not enough to describe the sense of sadness which I and many other Israelis feel today. 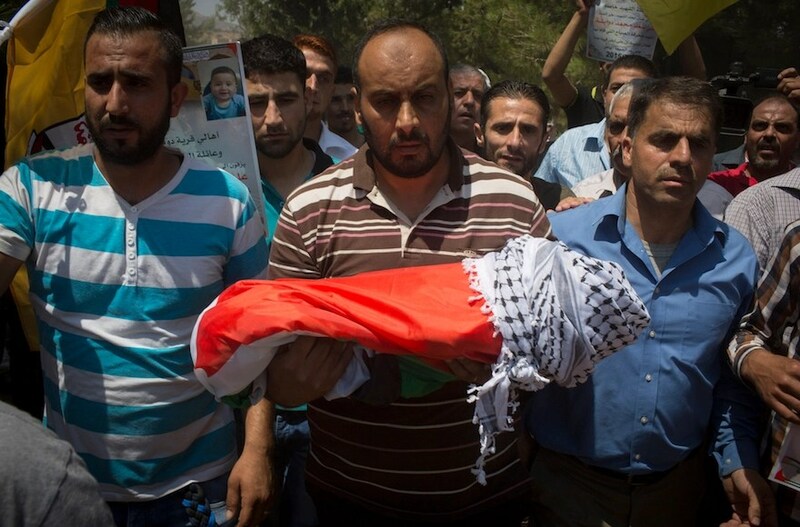 The news of today’s terrorist attack in which an 18 months old Palestinian child burned to death and injured his parents has reverberated around the country. Both the Prime Minister and the Defense Minister have called it an “act of terrorism”. We must not at this point let some of the hard truths pass us by. There are terrorists and victims on both sides, on the Israeli side and the Palestinian side. But we must also look at life in the West Bank and the legal discriminations there. Harriet Sharwood points out these discriminations in her article today. dealt with under Israeli civilian law and courts. Settler (Israeli) youths are rarely held in detention before trial and have access to superior legal representation. What about Palestinian youths living in area C of the West Bank? Palestinian youths are often detained at night, sometimes interrogated without lawyers or family members present, subject to physical and verbal abuse, forced to sign “confessions” written in Hebrew, a language that few can read, shackled and handcuffed during court appearances, rarely given bail, and serve sentences in prisons far from home with relatives needing elusive permits for infrequent visits. You see the difference between trying and interrogating someone under Israeli military rule and under Israeli civilian rule? you see the sheer discrimination? The way we are conducting ourselves in the West Bank will give us anything but security. Such discrimination is only creating more hate and despair every day. I enclose with the Jewish Mourners prayers for the Dawabsha family. May God protect them and give them strength, for they have just lost their 18 months old baby boy.